The SE8C breakout board brings out all the connections available on the SE8C's edge connector. This includes the eight slow motion switch machine drivers, the eight pushbutton inputs, and the eight sensor connections. 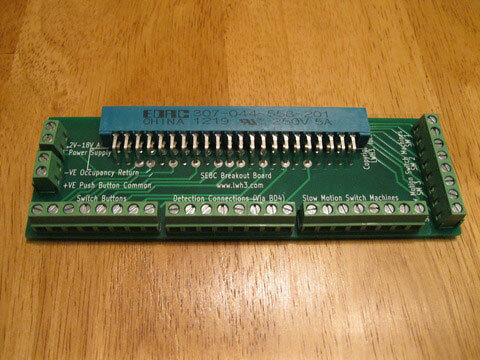 Copy this SE8C Breakout Board to your MY ACCESSORIES roster.